Remakes of the original three Star Wars movies are inevitable. I assumed this was the case even before Disney bought Star Wars and started launching a million new movies. Remakes are nothing new in Hollywood. Tons of movies are remakes, even films you wouldn’t expect. Scarface is a remake. So the idea that somebody in Hollywood was going to remake the original Star Wars trilogy someday down the line isn’t too far-fetched. I just think Disney should do it sooner rather than later. Solo: A Star Wars Story came out this past weekend and establishes the strongest reason why Disney should just remake A New Hope: Han Solo has been recast. Between Rogue One and now Solo, Disney could very well be building a new Star Wars Cinematic Universe. There’s plenty of talk of an Obi-Wan Kenobi stand alone film, with Ewan McGregor returning for the role, as well as a Boba Fett stand alone film. And Princess Leia made a quick appearance in Rogue One, albeit via CGI Carrie Fisher. James Earl Jones is still alive. Think about it: recast Leia and then digitally insert the new actor over the Carrie CGI in Rogue One. Then cast a new Luke Skywalker and you’ve got all the makings for a modern update to A New Hope, one that ties directly into all of the other Star Wars media that has come out since. The Millennium Falcon of Solo and the new trilogy, with all its speed and swooping, is way way different than the Millennium Falcon we got in the original movie. If nothing else, that can be updated. The original Falcon never had this kind of fun! Some might call this sacrilege, but would it really be any different from what Disney is already doing by flooding the market with new Star Wars films? The originals will always be great, but if they really want to take full advantage of all these spin-offs and all these new and old actors who are still around, a full remake of A New Hope — and possibly even the entire trilogy — is definitely in order. The pieces are almost already in place. Someone just has to make it happen. Fair warning, there will be SPOILERS later on in this review. Everything before the jump will be spoiler-free, and everything after the jump will have spoilers. I’ll make the distinction clear. This is not the movie you’re looking for. Or maybe it is. 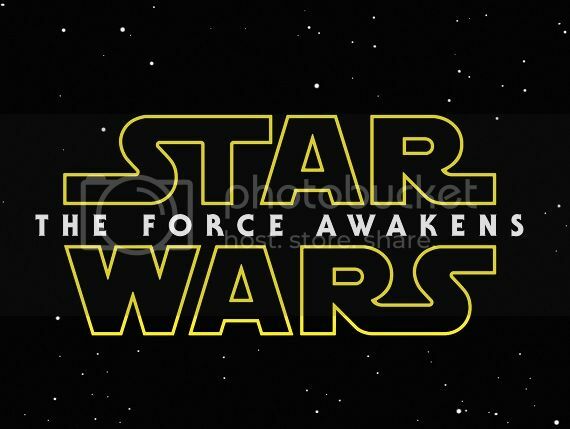 Honestly, I think opinions are going to be all over the map for Star Wars: The Force Awakens. For some, it might be a glorious return to that wonderful galaxy far, far away. For me, it was a fine and enjoyable film, but it wasn’t the be-all, end-all cinematic second coming that it was hyped up to be. Instead, The Force Awakens is a fun adventure full of familiar characters that easily entertains. But if this really is the start of several decades worth of new Star Wars films, one after another, I’m no longer as excited as I was yesterday. Movie Rating: 6/10 – Pretty Good. There is definitely a lot to enjoy about Star Wars: The Force Awakens. 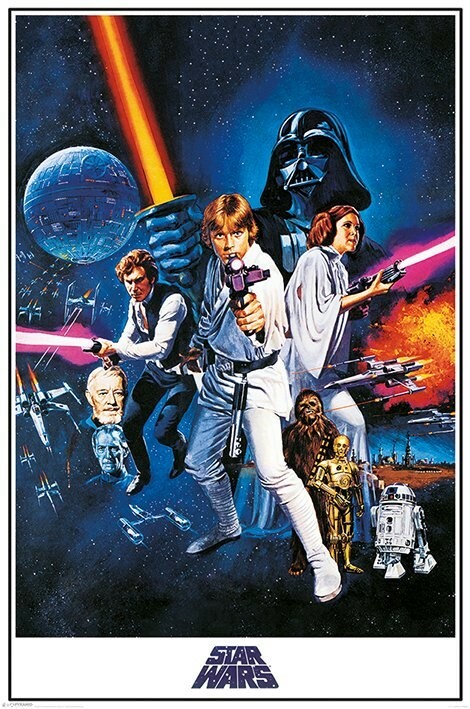 It’s definitely worth going to see, especially if you’re a Star Wars fan. The new cast all acquit themselves well, meshing splendidly together and with the old, returning cast. Harrison Ford’s aged Han Solo steals the show, with ample support from the legendary Chewbacca. The two of them on screen again is worth the price of admission alone. Lightsabers blaze with iconic glory, the Millennium Falcon is as great as we’ve always know it to be, and this galaxy looks like the lived in, wildly varied galaxy of yore. But the movie is far from perfect. There are numerous plot contrivances that seem to exist solely to bait the fans’ love for the franchise. Several seemingly important characters barely get any screen time, making you wonder why they seemed like such a big deal in all the advertising. And worst of all, what really took me out of the movie, was the inexhaustible desire to callback to and remember the original trilogy. 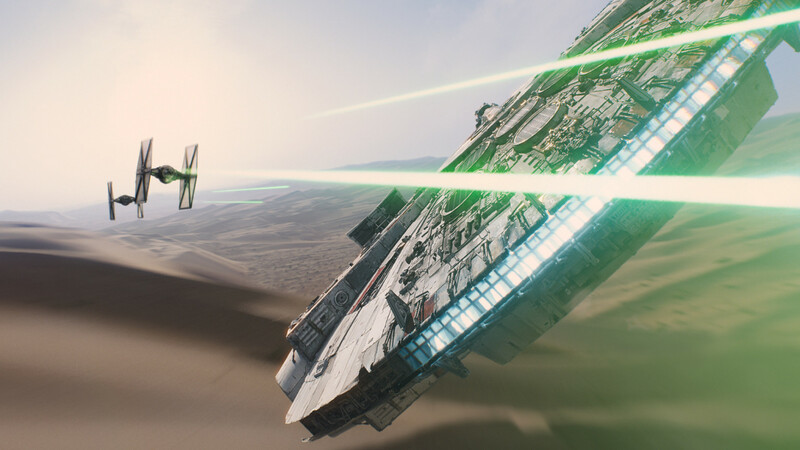 Star Wars: The Force Awakens does not take the franchise anywhere new. It revels in the old ways, while presenting just enough new material to guarantee the endless supply of new movies we’re going to get over the next several years (decades?). But at the very least, Han Solo and Chewbacca are pretty awesome. Join me after the jump for my full review. Be warned, I really get to rambling a bit. And this is the SPOILER cut off. Read the rest at your own risk. I tell ya, I honestly forgot how good it felt to have a real, fully working new video game to dive into. I never got around to buying a PS 4 or an X-Bone, and my PC has been out of date for a long time. I’ve spent the past year playing either old X-Box 360 games or PC games where I had to shrink the screen and lower the graphics to the bottom wrung to get even some movement out of them. But wowzers does it feel good to have a brand new, fully upgraded computer gaming machine! My current list is Witcher 3, Dead Rising 3 and Divinity: Original Sin. Feels good! As for comics, we’ve got some treats this week! New issues of Harley Quinn and Lumberjanes don’t fail to entertain, though I’m still not won over by the new Secret Six. Fortunately, the main Star Wars series is still pretty amazing, and wins Comic Book of the Week for its exciting, mythology-based story — and probably the coolest Chewbacca moment in years. 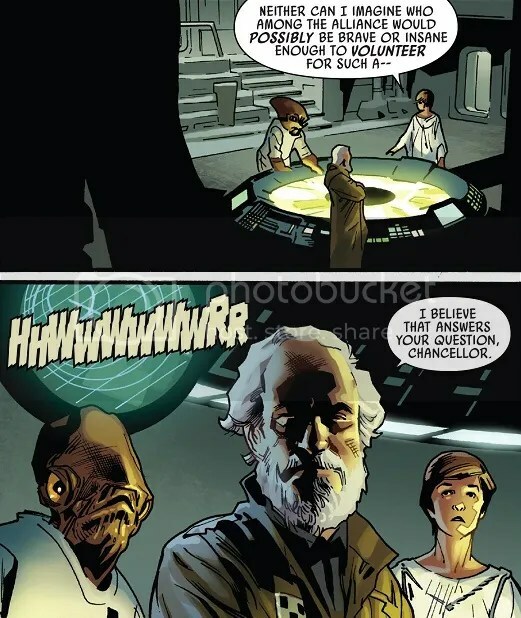 Stand aside, Mon Mothma, he’s here! Someday, I expect to get a Chewbacca vs. Black Krrsantan battle out of these Marvel comics. If that doesn’t happen, then Disney buying Marvel was completely for naught! Naught, I say! Comic Ratings: Harley Quinn #20, Lumberjanes #18, Secret Six #6 and Star Wars #9. By this time next week, I will have seen Avengers: Age of Ultron. I can’t wait! The anticipation is nearly overwhelming! What am I supposed to do until then? 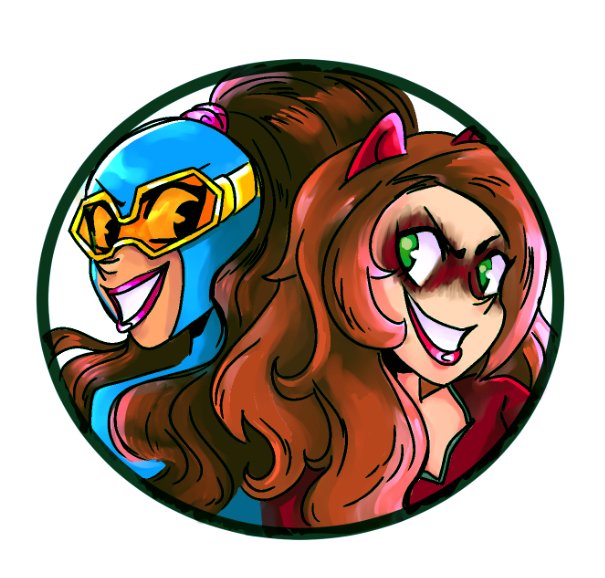 Read comics?! Are you mad? Well, there were some pretty great comics this week. Not only do we have the headline-making issue of All-New X-Men where Iceman comes out as gay, but we’ve also got the unlikely buddy comedy of Darth Vader and Jabba the Hutt in the latest issue of Star Wars! This week also brings us, hands down, the funniest comic book I may have ever read in Unbeatable Squirrel Girl #4. This comic is pure spun gold. 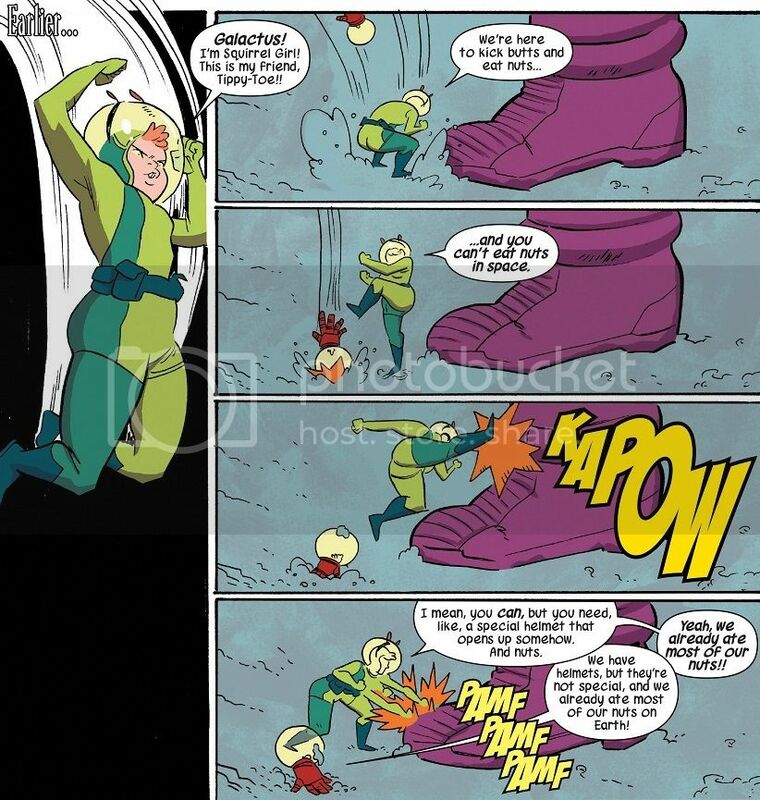 I have no way to explain why I find Squirrel Girl hilarious but Deadpool flat. I guess that’s just the way my brain is wired. But from the cover to the final page, Unbeatable Squirrel Girl is a laugh riot! And it’s Comic Book of the Week! This week also brings us a double dip of Valiant Comics! That’s always a hoot. Comic Reviews: All-New X-Men #40, Divinity #3, Ninjak #2, Star Wars #4 and Unbeatable Squirrel Girl #4.